After months of endless leaks, the Google Pixel 3 and Pixel 3 XL are finally official. The phones mostly retain that signature Pixel look with a two-tone back and stubbornly feature a single rear camera (still, a very mighty one), but this time around they come with the latest Android 9 Pie on board, a faster chip, a few clever customizations, support for wireless charging and with ambitions to come back as the smartphone camera king. Google has also addressed one of the biggest issues with the last year's 2 XL: the screen, which does not have all the blue-tint and burn-in issues. But while fixing that, it has added something rather unsightly: one of the biggest notches ever put on a phone. Size 6.2" x 3.0" x 0.3" 5.7" x 2.7" x 0.3"
The big difference between the Pixel 3 and Pixel 3 XL is clearly the screen size: the smaller, Pixel 3 features a 5.5-inch screen, while the XL version sports a large, 6.3-inch screen size. The larger XL also has a bigger battery. And that's about it. We're glad there are no major differences between the two sizes and now you can just pick the one that fits your palms and pockets better. The Pixel 3 comes back as the defending camera phone cahmp. The new series still feature a single camera on the back, but Google has improved the way images are processed and has added a few cool new features like AI ‘Top Shot,’ a Google Clips-like service ‘Photobooth,’ and Super res zoom. Also, now you have a dual camera on the front of the phone, a regular one and a wider shooter for those group selfies. The big feature for the rear camera is certainly Top Shot. With it, the phone snaps a bunch of pictures and then uses AI to select the images to find one where all the people have their eyes open and are smiling. Google Lens is also now embedded in the camera and it works even when you are offline. Portrait Mode has now been improved and better, and you can now select the level of background blur after you take the shot. You can also switch the focus of an image to something different and make the color of your subject pop. Speaking of the front camera, you have a new Photobooth option that basically has the phone automatically snapping a picture when you smile to it or do a silly face, so you don't have to worry about pressing the shutter button and just be playful and have fun in front of the camera, and still get a great shot. One of the best perks of owning a Pixel is free unlimited storage for photos, and it's also here on the 3 series (photos and videos uploaded before January 31st, 2022 will remain free at original quality). Battery: now with wireless charging! Both phones come with rather average sized batteries inside: you have a 2,915mAh battery in the Pixel 3 and a 3,430mAh cell on the Pixel 3 XL. The two phones charge via USB-C (there is a USB-C to USB-C cable in the box) and the come with a USB Power Delivery charger in the box. The Pixel 3 family is also the first one in the lineage to support wireless charging. 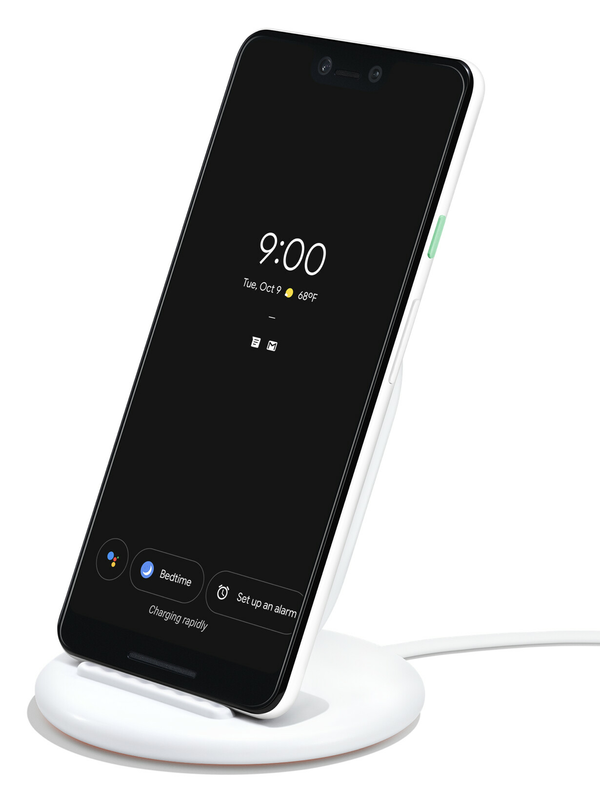 You would need to purchase a separately sold wireless charger and Google is conveniently launching a charging stand of its own, the Pixel Stand, that you could order along with the Pixels (but all chargers with the Qi standard are compatible). The benefit of the Pixel Stand is that when you place your phone on it, the Google Assistant would be optimized so you can shout to it from across the room, much like you do with Google Home or Amazon Echos. And when your Pixel 3 is on the new stand, the phone becomes a phone frame automatically. The price of the Pixel Stand is $80 and it has a few other cool features that you can read more about at the link below. The phones will support the fast wireless charging standard at up to 10 watts. This is one little convenience that we appreciate finally having in the latest Pixels. Wired charging is still a bit faster, at a maximum rate of 18 watts, but the wireless has comfort as its biggest advantage. Good news is that pre-orders for the Pixel 3 phones start today. The Google Pixel 3 series will still be sold only via Verizon Wireless in the United States on October 18th, and no other carrier in the US will have the phones. Of course, you could also buy an unlocked Pixel over at the Google Store and at Project Fi, but it's sad to see that for three years straight, Google still only provides the Pixels on just one US carrier. Hold tight for the prices, though, as they have certainly increased: the Pixel 3 starts at a whopping $800, a full $150 on top of last year's Pixel 2, while the Pixel 3 XL model prices begin at $900! Google clearly has not missed the news of Apple increasing smartphone prices and is promptly following up with a couple of expensive phones of its own. While we wish they were not as expensive, the new Pixels also come with a guaranteed 3 years of software updates by Google, and considering how well the company optimizes its phones, we can safely see them working perfectly smoothly in the years to come. But more in our detailed testing, stay tuned for that! So ugly , So boring . More importantly: so pricy for the regular model. I don’t think it was smart to put it at $800. Why not $700? Hopefully it’ll come down in price in a few months. 23% increase on last year. What the hell were they thinking? Perhaps worried people will be put off the XL by the notch and they'd lose money so jacked the base model up. Perhaps they were afraid of a loss in perceived value. If competing flagships are charging $1000, and they were to charge $700, some people willing and able to buy phones in that range might automatically assume its a lesser phone. It's a horrible trend for consumers, but then consumers keep paying for it. If they were smart they wouldn't even have the notch and that would be a non-issue. So if I want the Google Phone I need to use Verizon? Huh? If you want to have a carrier locked/financed device, you head over to Verizon and pre-order. If you want an unlocked/cross compatible/unfinanced phone, you head over to Google Play store and pre-order. What? 900? That gets it up to Note 9 territory. I understand what the pixel phone is, its all about software and not necessarily about the hardware. But that's a $750 phone. I'll just wait a month for the price drop. Isnt there a mini version? 4.7-5" form factor phone. Not every one likes big phones (5-6.5" phones).. Why cant Google release 5", 5.7", 6.3" size phones?. Pixel 3 is the one to go with in my opinion. Also.....$900 for the XL???? The new software improvements greatly describe the pixel 3 series, apart from the huge notch on pixel XL 3, everything looks fine.Looking forward to the Google assistant for the call and all the new camera modes. it's not too much of a difference between pixel 2 and 3............if this phone was $650.00 i would buy it. How disappointing, that notch is God awful. Hard pass for me. 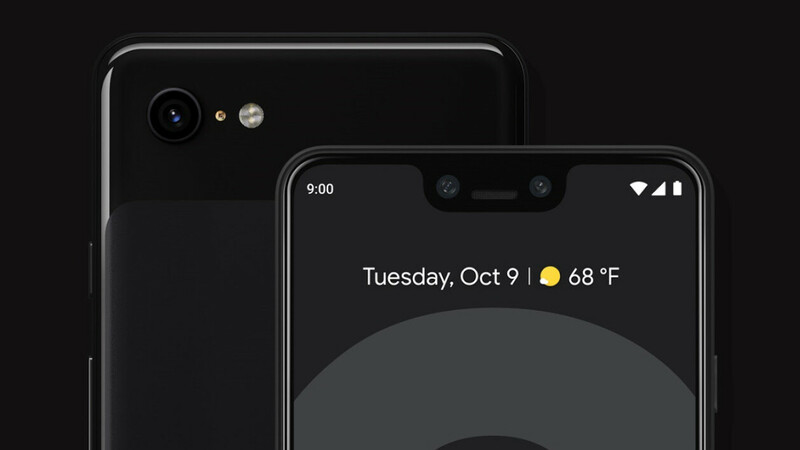 Hope they remove it for the Pixel 4. It's not just the notch, it has the chin too! Awful design, why are people still copying Jony Ive who's shown he can't design without Jobs looking over him - the notch had a purpose at least but to have it with a chin too? Jeez. Regular model far better than the XL. 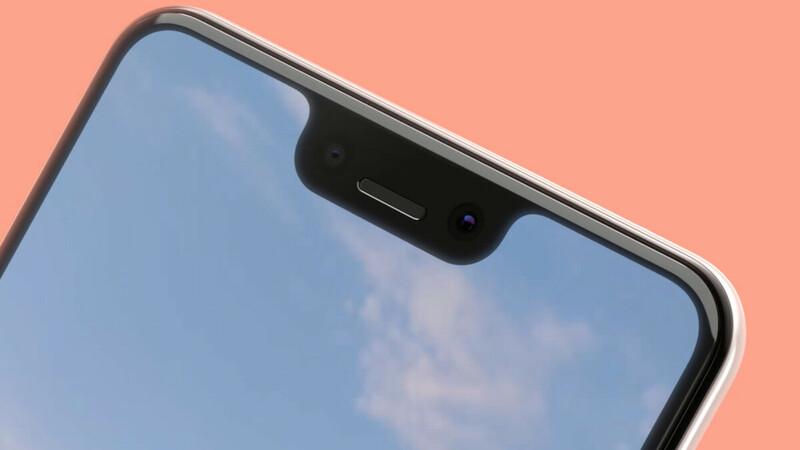 it's the same chin from pixel 2. it is is the notch that makes the chin stand out......the notch serve no purpose. Identical camera and lens to the Pixel 2 / XL only with added phase detection AF (which everyone else has since 4 years ago), only a huge ugly notch and probably a less-than-mediocre screen. Now that's one year worth of progress in Google's terms. It's like Google didn't bother to do anything after the Pixel 2, except blindly throwing that ugly notch and chin. Fugly design, still stuck on 4GB RAM and low battery capacity, and for that price there are many other phones with nearly stock Android worth our money. 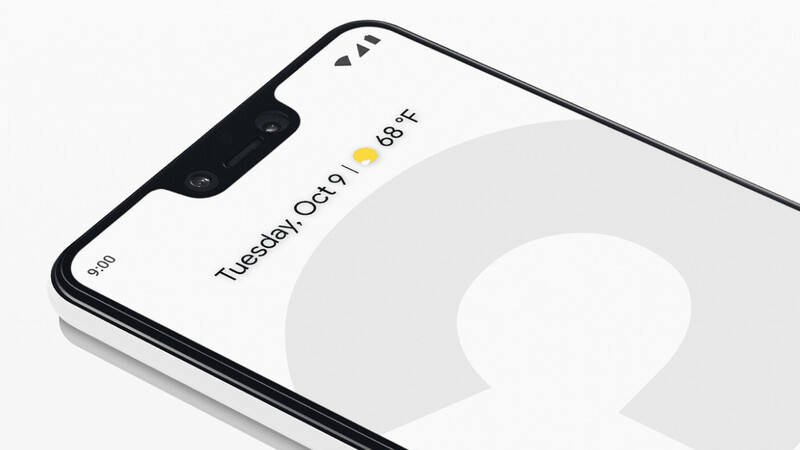 Without the ugly notch or ( at least better design like a teardrop ) and with one colour on back would make Pixel 3 xl much better .. Google's designs really bad and ugly! All the time in their conference they spoke about the camera like the people will buy digital camera! For me and for many people don't care about the camera because most smartphones camera now are good enough for normal pictures! We need something new unique and useful ! Not better camera! top shot camera feature copied from NOKIA LUMIA,... THEY CALLED IT "BLINK"